Set among tall trees beside its grand garden, Adi Puri is a heritage treasure whose clear glass doors, windows and blue glass canopy reveal brilliant, bright interior spaces; dedicated to hosting successful, beautiful events such as meetings, exhibitions, weddings, seminars, product launches, presentations, functions, concerts, recitals, musicales, entertainment, mixed media and theatre. A unique modernist building of the 1960s, Adi Puri was completely renovated in 2008, returning it to its pure white simple beauty and transforming it into a truly unique boutique meeting venue in Jakarta. Adi Puri has 460 m2 inside six beautiful, distinctive, light-filled multi-purpose spaces: the marble-and-glass ground floor Mawar Gallery; the upper floor balconied Melati Hall; two capacious upper floor meeting spaces, Aster & Dahlia Room; two cozy ground floor meeting rooms, Lily & Tulip Room. And outside, is Adi Puri’s 600 m2 tree-shaded grassed Soka Garden – a beautifully versatile space in itself. Adi Puri can accommodate 150 persons inside, and 200 persons in the garden. Adi Puri’s spaces can be used individually or all together as a single full-services venue. Located at Wisma Subud no. 1 Jalan RS. Fatmawati kav. 52 Cilandak Barat, Jakarta Selatan, a short way from the Jalan tol Lingkar Luar Jakarta, Adi Puri is accessible to all Jakarta. 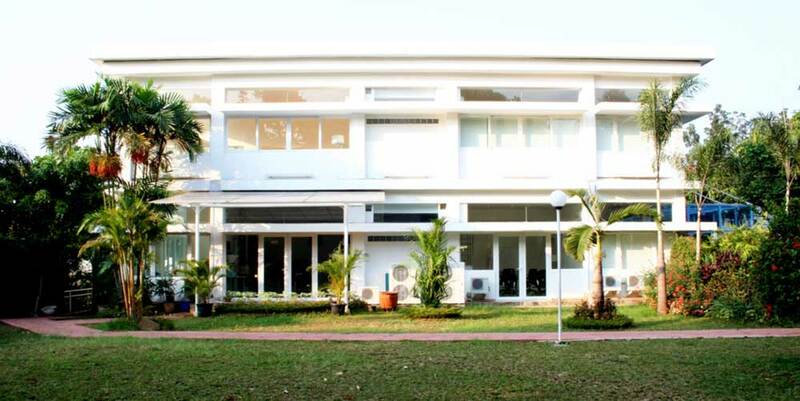 Adi Puri has lovely intimate 15-30 persons meeting rooms with glass doors and windows looking out onto the garden. The Lily, Tulip, Aster, Dahlia room can each be individually serviced with catering and specialized equipment – or be used in tandem. The beautiful functional glass and steel meeting furniture make the rooms light, cozy and friendly for board meetings, trainings, seminars and small celebrations.